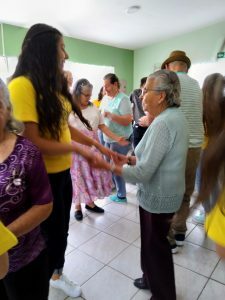 Today Municipalidad de Cartago, held one of its monthly intergenerational meetings at Cocori’s Day Center for Elderly People. 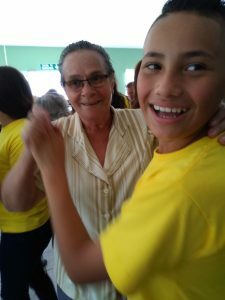 Together with 60 sixth graders from Cocori School, all 35 beneficiaries at the Day Center, shared a meal, played games and even danced together. 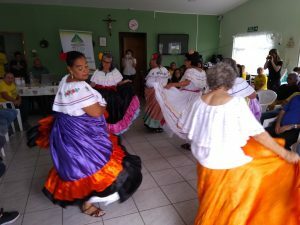 Both the kids and the elderly people organized several artistic presentations such as a Christmas themed play, typical dances and a singing number. 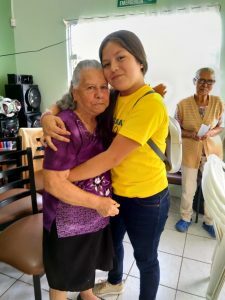 This intergenerational meetings aim to teach kids respect towards elderly people and eliminate negative stereotypes.